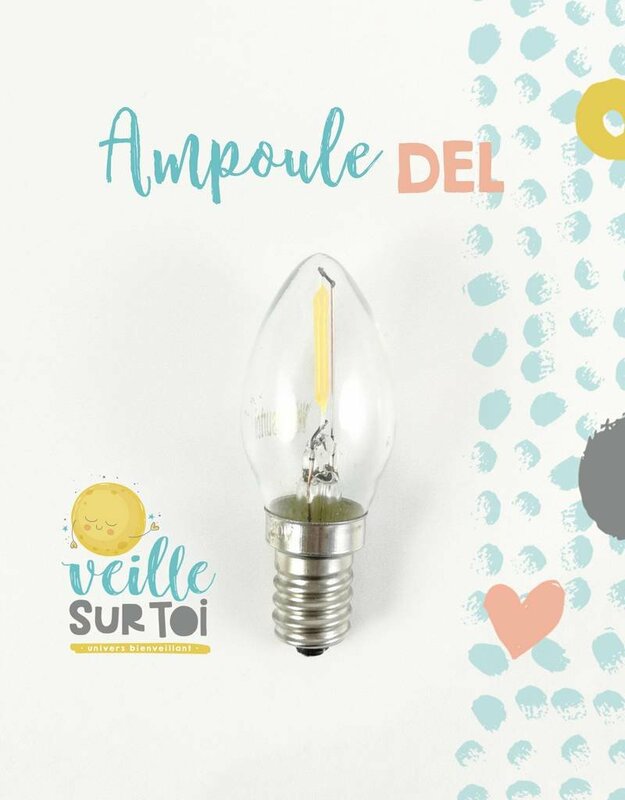 Veille sur toi is proud to offer you the possibility to add an LED bulb to your night light! This LED bulb is 0.3 watts, which is equivalent to approximately 5 watts incandescent. 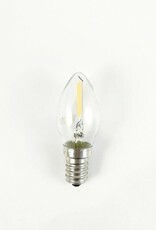 After several months of research, we had these bulbs made to measure so that the light is perfect! Warm and soft, like an incandescent, but with all the advantages of LED bulbs: much longer life, not hot when touched, lower energy costs, heat almost zero. Be careful, the bulbs are suitable for 110-volt North American plugs, they can not be plugged into the 220v-240v European plugs. The bulb is 0.3 watts (equivalent to about 5 watts in incandescent). Note that the unobstructed light is very similar to the one currently released by our 5 watt incandescent bulbs. The glow is enough to light the room slightly. As an example, you could read to a child alongside the glow. The LED bulbs are now on the online store and in a few hours, all our night lights on the site will have the option "LED bulb" that you can choose for only $ 5.00 more. As an indication, the price of LED light bulbs in hardware stores is around $ 8.00 - $ 9.00. 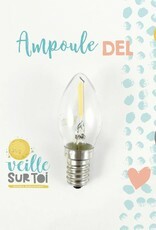 Your night light will be just as charming and caring as before, while being more ecological and sustainable! This product is not available in very large quantities. We reserve the right to cancel any transactions that contain large amounts of mechanisms, we are not a supplier for this product.